In September I made a final push to get all the furniture in our garage painted before cold weather came. 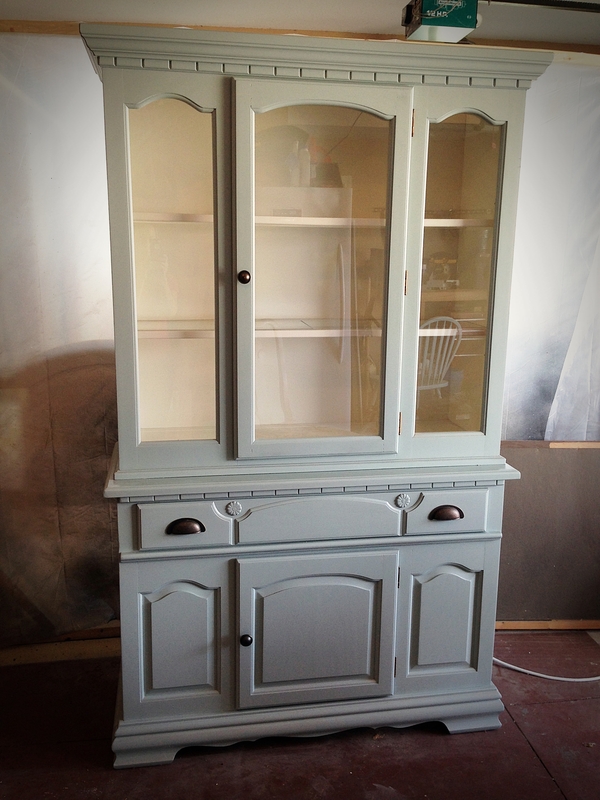 The first of these was an oak hutch which I painted Duck Egg blue, specifically Quietude from Sherwin Williams. I painted the inside of the hutch Creamy by Sherwin Williams. I like the contrast this brings. I would have liked to find a home for this in our house, but it wouldn’t fit so I sold it.